At the Law Office of Georgina Garcia, we assist people in Dallas, Texas, who have been charged with a crime. We understand the emotions and stress that often accompany a criminal charge, and our compassionate attorneys have the experience necessary to help during these hard times. From drunk driving, warrants and traffic violations to bail bonds and assistance getting released from jail, our legal team is ready to ensure our clients' rights are upheld in court. 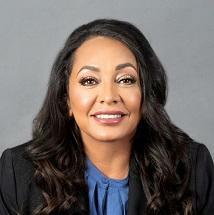 Attorney Georgina Garcia has been licensed as a defense attorney in Dallas, Texas, for the past 15 years. She is passionate about representing people in the Dallas metro area with their criminal justice needs. She has built a reputation for receiving successful outcomes for past cases and strives to maintain that high standard with every case she undertakes. When clients arrive at the law office for their free initial consultation, our dedicated team makes them feel at ease. Ms. Garcia listens closely to the circumstances surrounding the matter at hand. She then helps clients explore all potential legal options and helps them select the one that may bring about optimal results. She is also available to answer any questions clients may have regarding their situation. The Law Office of Georgina Garcia is also pleased to accept credit cards as a form of payment for our services.